Twitter is rapidly becoming the mainstream for all brands and their presence. Therefore to optimize more the online presence Twitter analytic strategies or tools are of major importance. 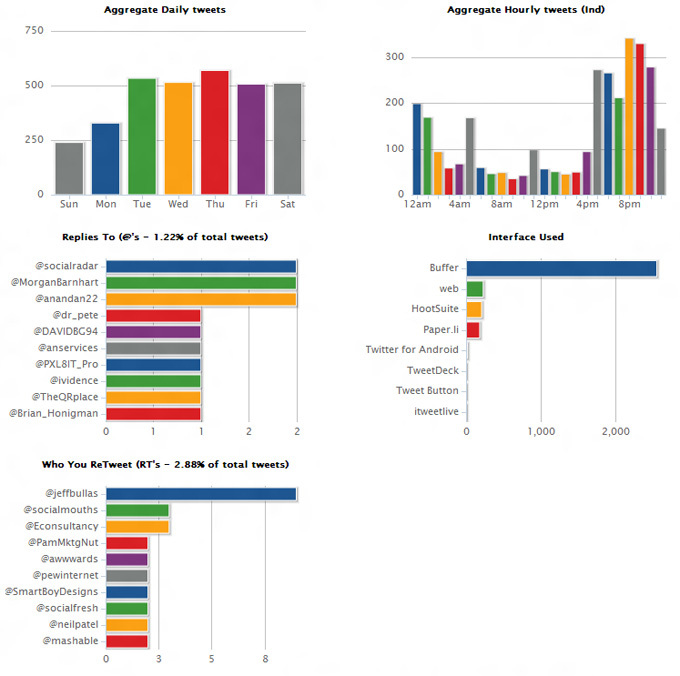 Already there are several template tools which allows you to analyze the metrics for Twitter. Mentioned below are some of the analytic tools by which you can optimize your data. 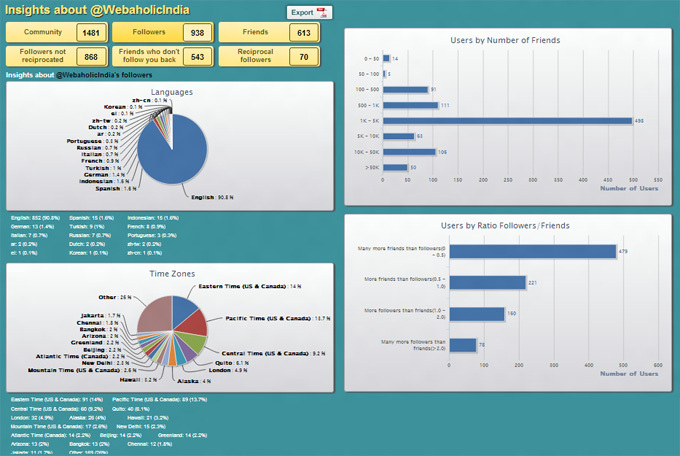 SocialBro is one of the most user friendly tool for analyzing data for Twitter. Once you enter Twitter check out the login information tab and find for yourself the immense information available. 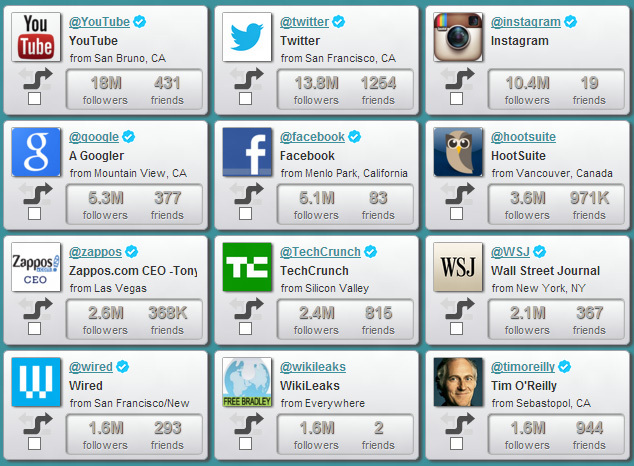 Not only this SocialBro offers a visual display for you to check who is following you and who is not following you. Your “inactive” friends you who isn’t following you back and even most influential people whom you might follow. You can actually browse your clan! It also offers you the benefit to exactly know which the best time is for you tweet. You can easily learn when your followers are there present to see what you tweet and thereby take an advantage of the online presence wholly. 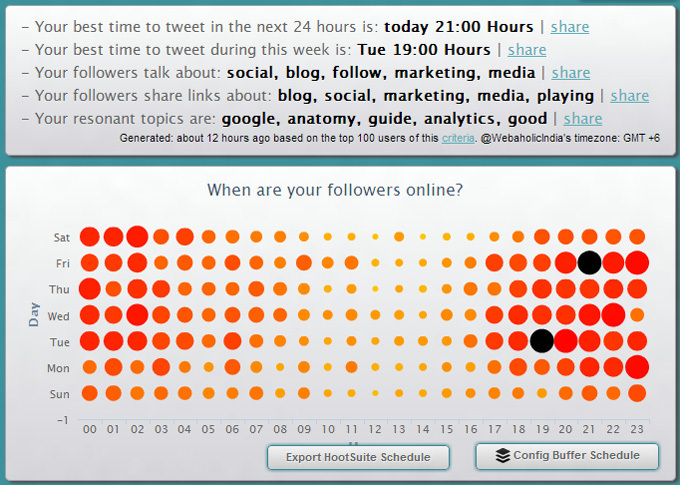 The dashboard is one of the very handy tools for twitter users. You can exactly see what is happening, all the detail statistics. It is an awesome application for social media. You can easily put on great articles,visuals, pictures and videos. 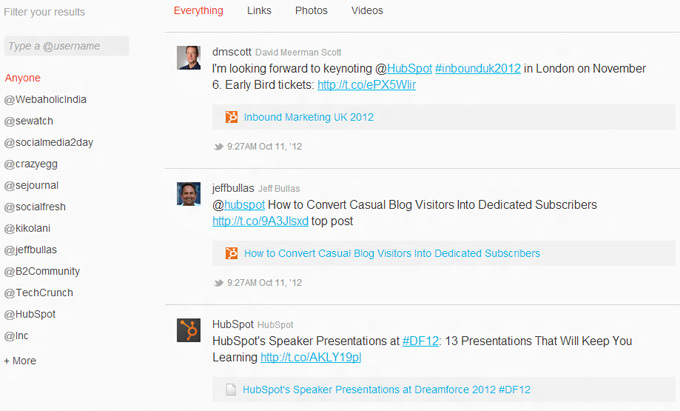 Your updation to your Buffer will automatically share your updates throughout the day. Buffer has been designed to offer you a personal along with a more effective solution for handling and sharing on various social media. It makes life more easier and implements a brilliant way to scheme the fabulous content you find over the various social forums. It helps you see all the detail analytics for your twitter forum. 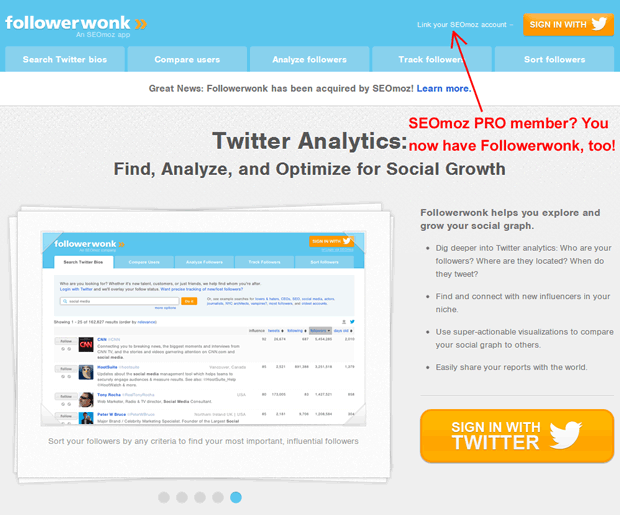 Being in the SEO community sometime, you would always certainly hear of the surprising tool for Twitter analysis called Followerwonk. It encompasses you analyse and develop your social graph. You can now dig deeper inside your Twitter analytics. Find out who your followers are,their location, and when they tweet. Its great app now to find and connect to new people who follow you and the ones associated in your niche. 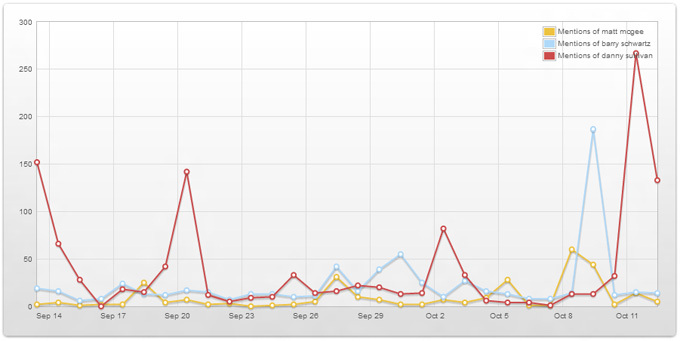 Always use catchy pictures to make an analysis of your social chart to others. You can always have an access to your reports and smoothly share them with the world. With Topsy Analytics, you have the liberty to analyze domains, usernames for Twitter, keywords which can be examined over four time slots: a single day, week, and a month. Every analysis shows various and differentiating results. You can compare all the three domains. For e.g. : Topsy analytics will throw out the number of links time you type in three keywords which includes names, as at the beginning of article and Topsy presents the number of times each was cited. Social Mention is also a social media analytic and search tool which is very much like topsy and social bro.The only difference is that it shows an analysis platform which aggregates content generated by the user from across the world into a single source of information. It gives you the permission to easily track and measure what users are saying about your company,your new product, or for that matter any topic over the web’s social forum at present times. It monitors close to 100+ social media empires directly which includes: Facebook, Twitter,FriendFeed, Digg, YouTube, Google etc. Tweetstats is not as good as SocialBro, well on the other hand no one can neglect the fact that data visualization of Tweetstats is more attractive than that of SocialBro. You can get the total Twitter history, the total count of tweets. To figure out when it would be best for you to tweet, go into your Google Analytics account and see which days of the week you typically receive the most traffic, breaking it down by day and by hour. 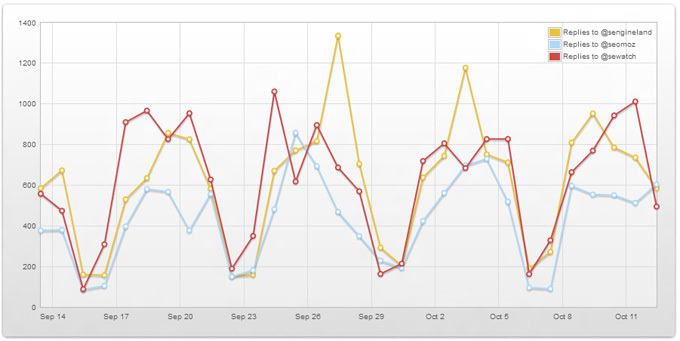 If you don’t notice much fluctuation, try and be consistent with when you send out tweets. Don’t overwhelm users by sending 12 tweets between 9 and 12 on Monday and then stay dormant until Thursday afternoon. 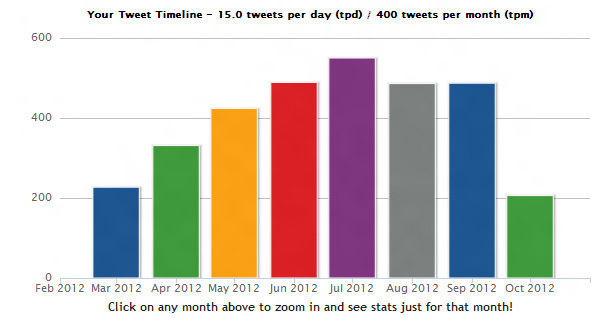 TweetStats can help you mark your activity and make sure you’re tweeting effectively. Other facets you may want to use in your brand in TweetStats are the hashtag and tweet cloud. These features represent the topics and hashtags which you are using in your tweets, and also the frequency you are using them. Altough the main intention of your is to market your business over TweetStats yet this shouldn’t be prominent that your motive is only publicity and marketing. Always be alert that you don’t keep on repeating the same thing again and again as often followers may find it very boring. TwentyFeet is definitely not as multi-faceted as the above two but it obviously allows you to connected using your Twitter account and evaluates your followers. Monitors and retweets, lists as a whole gives you a statistics about the number of followers pursuing you and the ones not. 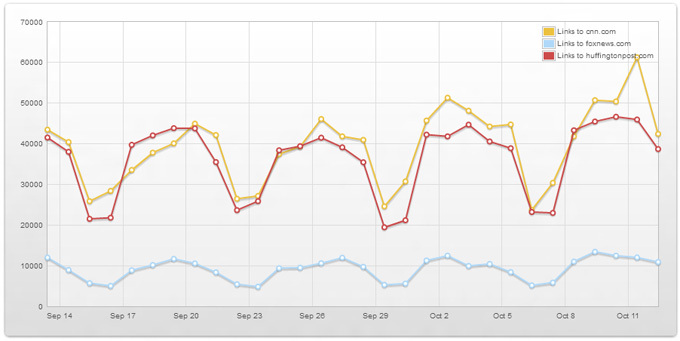 You get a privilege to change the time used in the evaluation, varying between the past week to month, or even more. TwentyFeet through its evaluation process where in you can see the entire details about the fleet which is following you, this will help you to have a better understanding about your brand and thus help you in making changes. TwentyFeet will allow you to measure what is known as ‘Influence Indicators and Conversations’. Influence Indicators will show the number of mentions you get over a certain phase of time, and also the frequency with which your tweets are responded. Overall it has certain similarities like Facebook and Twitter and therefore is very helpful for capturing mass over a very short period of time. Very similar to that of TwentyFeet by using your Twitter log and email address, PostPost will show a searchable adaptation of the Twitter timeline. You can always use PostPost for your branding. Very similar to the most common feature of all the tools this one also helps you in analyzing the followers pattern, which in turn helps you to have an idea as to what people think about your product or your brand. It is absolutely free, live social media analytic tool. You will surely enjoy receiving social media SOS (same as in Google alerts but it is exclusive for social media).You get a choice to select your free alerts and develop a story or a discussion or a gossip. Overall I can say that the eight tools mentioned above are very similar to each other and therefore its very easy to explore them and thus market your business for a gigantic growth keeping hand in hand with the fast evolving trends of marketing…definitely online. What other Twitter analytics tools did you find useful for your business? Share your experiences in the comments section below.